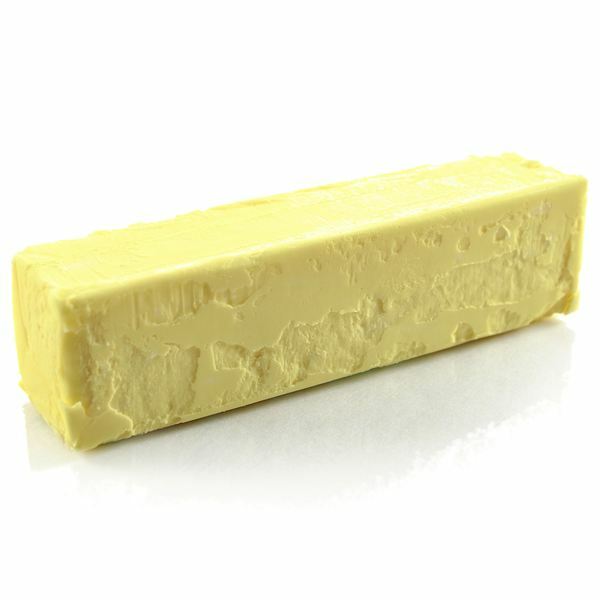 Once upon a time, everyone ate butter. Families living largely in an agricultural society churned their own butter from milk provided by the family cow, or they purchased it from the town dairy farmer. As time passed, however, the price of butter began to rise and people began looking for an affordable butter substitute. The first man-made trans-fat on the scene was oleomargarine in the 1860s. Soon, unpalatable tales of the production of oleomargarine began to leak into the public from the slaughterhouse. Oleomargarine fell from grace. Hydrogenated Oils to the Rescue! In the 1890s, Nobel laureate Paul Sabatier developed the hydrogenation process which was a break through. The process of adding hydrogen atoms to saturated fats produced partially unsaturated fats. This is where we get the term partially hydrogenated. The process of hydrogenation gave products a more sturdy texture. Hence, margarine is solid, not liquid, at room temperature, and easier to spread than butter. Hydrogenation also provides the benefits of prolonging product shelf life, reducing the need for refrigeration, improving texture, improving taste and providing an attractive browning to crusts. With the rationing of butter during World War II, the use of margarine began to rise. For many years it was a common staple in American households. Then, the American Heart Association came along in the 1950s and said Americans needed to reduce saturated fats in their diets to reduce the chance if getting heart disease. As our medical knowledge grew, advocacy groups began to call for the reduction of saturated fats in fast-food restaurants. Research picked up in the late 20th century and advocacy groups called for restaurants to stop the use of partially hydrogenated oils altogether. Changes abounded as the 21st century dawned. The government announced in 2002 that there was no safe level of trans fat consumption. Denmark became the first and only country to legislate a limit on trans fats. They limit ingredients rather than the final package and have a 2 percent cap. Many feel this legislation has caused a 50 percent drop in ischemic heart disease related deaths. Five years later, Calgary, Canada, became the first city to ban trans fats. The United Kingdom called for voluntary changes and is happy with their current level of daily consumption. In 2006, the United Stated began requiring manufacturers to list trans fats on the nutrition label. Should trans fats be banned? Trans fats are bad for us. They increase the bad cholesterol (LDL) and decrease the good cholesterol (HDL), but the question of whether or not they should be banned has created much controversy. In the medical community, there is much rejoicing because banning trans fats would be a tremendous step in the fight against heart disease. But banning trans fats is seen by some as a personal liberty infringement. “Trans fats are bad for you,” says Art Carden, a Forbes contributor, “but government regulation is bad for you, too.” Can the government protect us from ourselves? Mr. Carden says this is morally absurd. If trans fats are banned, what else might the government ban that is bad for us? A ban of trans fats is a potentially good thing for the health of the public. But what about the other chemicals in our food today that is not there naturally? Hormones, antibiotics, sulfates and nitrates and benzoates, oh my! A ban of trans fats will open the door for further examination of our food. It would appear we need to look at the bigger picture of banning trans fats while maintaining personal liberty.